A Finished Basement is the perfect way to add both significant living space and value to your home. This is more of a larger scale project to engage in, however, when broken down per square foot – the cost can be quite a bit less than a Kitchen or Bathroom remodel. All that said, Alone Eagle Remodeling can provide the services to finish your space and bring your dream of a customized living space to the forefront. During our initial meeting, we’ll measure up the space for you and discuss what your goals are for the project. You may want a basic finished package or something a little more customized with a bar, full sized kitchen or bathroom. Whichever angle you’d like to take, it’s a great time to start writing down your ideas, listing products (flooring choice, paint colors, lighting etc…), and even snipping some photos for your design. We can offer line drawings and renderings of what the finished space will look like. Obviously there will be a process of fine tuning many of the details but when all of the work is agreed upon and paperwork is set, we can begin the scheduling, ordering and construction process. Alone Eagle Remodeling will frame walls to code specifications – 16” on center with pressure treated bottom plates. We can frame in closets, bathrooms, bedrooms and other walls to separate your mechanical appliances. Framing on your ceiling would consist of closing off your HVAC trunk or other items to finish off with drywall. We can also frame around Steel I-Beams and Jack Posts so you will achieve a very smooth and polished finished look throughout your basement. Although code has not adopted some of the new specs with insulation in our area, our crew will upgrade to R-15 insulation for an exterior 2×4 frame wall and R-21 for an exterior 2×6 frame wall – below grade walls will receive an R-11 or R-13 insulation. Closed Cell Spray Foam will be the best way to treat your block or concrete walls whether we spray a 1″ thick coating (and then add insulation batts) or a full 3″-4″ coating. Closed Cell Foam will become a superior Vapor Barrier application along side the added R value. Inspectors that we’ve dealt with prefer to see this, not to mention that it’s more than the industry minimum. Adding a bathroom? We’ll install R-11 insulation in the surrounding walls to reduce sound transmission. Gaps around windows, doors etc… will be closed up with spray foam insulation. All areas that draft to upper levels of your home will be blocked off with framing, fire rated drywall, insulation and fire rated spray foam. We’ll check all of your existing pipes and wires running to the upstairs and fill those while we’re at it. In the last few years with new construction developments, many townships are requiring steps to be completely framed off and finished dry-walled, leaving no access for storage. That’s partially due to homeowners storing paint cans under the steps. A fire in this situation, would deplete escape efforts. Although you’d hate to lose that space, there are other options. We can still create storage with a door, however, we’ll go the extra mile to block off the bottom of the staircase and install fire rated drywall to the bottom side. Either way, store your paint cans elsewhere. 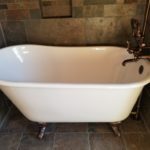 Depending on what plumbing fixtures you’d like to have whether there’s a bathroom, kitchen or both – we can adapt to your plumbing system to carry out your design. Most homes build in recent years are already roughed in with drain lines and a future vent to hook on to which may keep us from digging up the flooring unless you’d like the existing locations modified. For a walk out basement with an In-law Suite, just let us work our magic! 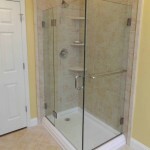 We can install a larger bathroom with a barrier free shower. A linear drain installation will give you that open feel and mobility requirements. Lighting can be any way you want it. 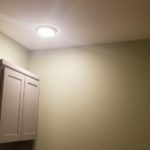 We can wire in recessed can lights, wall sconces, ceiling fans with lights and any other kind of lights that you like. Incorporating dimmer switches will set the tone for movie night! In the big picture, the electrical plan will be scaled out to meet code. Things like outlets, switches, 3-way switches at stairs, sub panels and any other factor will be planned for. We can install electric baseboard or wall heaters or tie into your furnace trunk to adapt heating to the room. If you are going for a full makeover with multiple rooms for heating and cooling, you may have to consult your regular service company to make any upgrades to your furnace. Although your furnace is typically large enough to carry the full load of the home, calculations can get tricky when trying to balance out the airflow for the new space vs. existing layout. 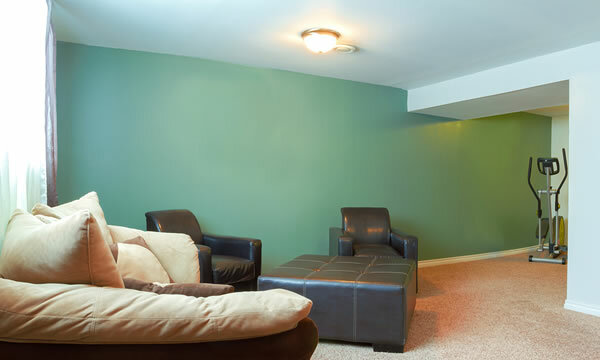 A full drywall finish to your basement will give it that comfortable feel. We can efficiently install drywall with a Level 4 finish to give a smooth paint job. A textured ceiling or drop ceilings are options too. It’s all a matter of preference. We’ll take care of the painting for you! We prefer Sherwin Williams – Pro Mar series paints for optimum finish and appeal. Color options are unlimited in this department. An accent wall or different color schemes will set the mood. Pre-primed doors and trim are finished with Semi-Gloss trim paint after nail holes from trim installation are puttied and sanded. New carpet throughout brings the warmth and finishing touch to your new basement. Stretched out and cut to fit, a proper installation will bring years of use to the plate. 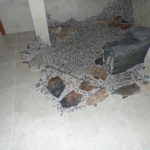 A porcelain tile entryway for a walk out will cut the crud from ruining the area at the door – low maintenance tile and grout will be a breeze to clean for any tiled area of the basement. 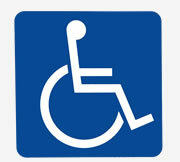 Whatever the intended use of the room is, flooring options may change around. An exercise room would be best suited with rubber flooring. Do you want to throw huge parties? In that case, commercial carpet tile is a winner… Carpet tile can be removed by the square in case you have a spill or two. Just know that there’s always something to fit the bill.